The Green Bay & Western Railroad is a beloved line by just about every railfan in the areas it served. 6 inch x 6 inch square tin logo sign of the Green Bay Railroad. 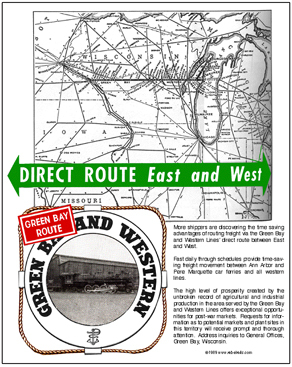 Reproduction advertisement used by the Green Bay & Western Railroad.